Have a wonderful Holbrook Manor wedding and enjoy a great reduction on our standard prices! See below for details and rest assured, whatever you choose, your big day will still have the same excellent service, delicious food, quaffable drink, and magical romance for which Holbrook Manor weddings are so renowned. 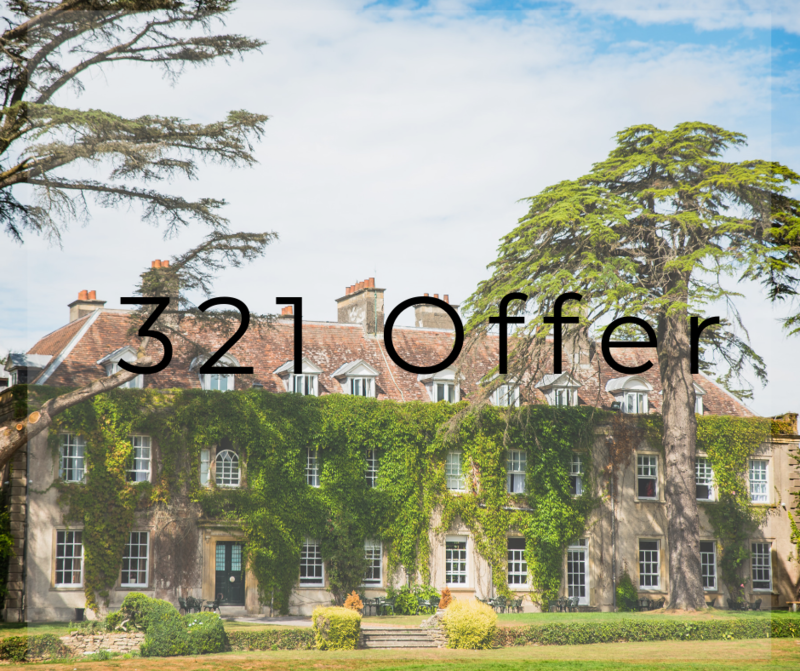 Introducing our very special 321 Offer. You can save up to 30%! For all remaining available dates, you can save up to £2,000 on our standard venue fees. This offer is limited, however, so once a date has been booked, it's gone! To make sure you get your perfect wedding date, please contact our wedding office on 01963 824466 to check the latest availability, or download your free brochure now. * Offer is not available to previously confirmed bookings or transfers of date. Cannot be used in conjunction with any other offer. Offer excludes New Year’s Eve.